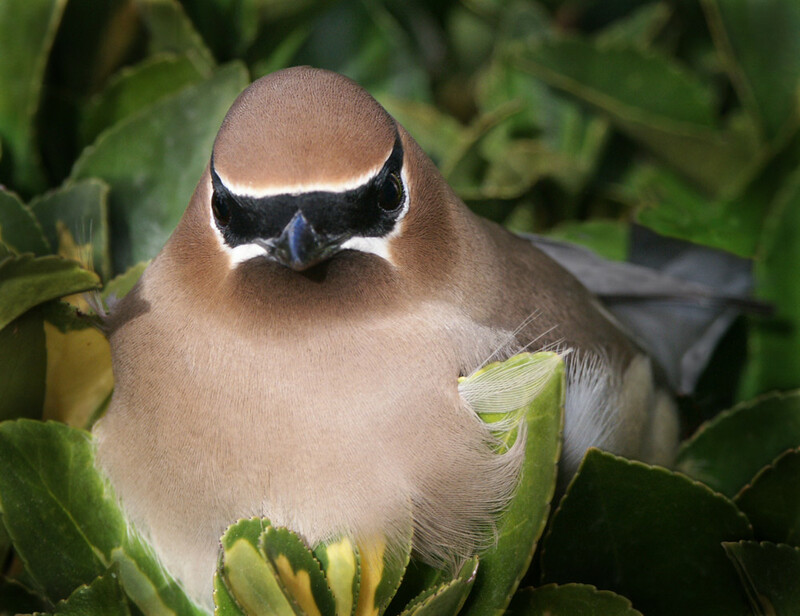 This waxwing, with a perfect mask, was looking directly into the camera. He literally fell into the bush because he was drunk from eating crab apples on a nearby tree! A couple hours later he sobered up and flew away.